When's the last time you reviewed your boat insurance policy? Let's take a few minutes to make sure you're covered for everything and have the most affordable boat insurance rates. Boat insurance protects a boat, its owner, and passengers in the event of a loss. Boat insurance can include all motorized water vehicles including, but not limited to, fishing boats, pontoon boats, yachts, and jet skis. Liability Coverage - pays for injuries and property damage to others as a result of a covered accident in which you are found to be legally liable. This may include pollution liability and wreckage removal depending on your policy. Collision Coverage - pays for damages to your boat, motor, trolling motor, trailer along with the permanent and some portable boating equipment as a result of a covered accident with another boat or object. Comprehensive Coverage - covers damages to your boat, motor, trolling motor, trailer and some permanent and portable boating equipment that are the result of events other than collision. For example, this can include damage from fire, theft or storms. Uninsured or Underinsured Boater Coverage - Covers the insured for damages and bodily injury that you and any passenger of your boat sustain if injured in a covered accident involving an uninsured or underinsured boater and also in some cases a hit-and-run boater. Medical Payments - Cover medical expenses for the treatment of injuries that are incurred by you or your boat passengers while operating or occupying your boat. On-Water Towing and Labor Coverage - This coverage option pays for towing expenses and other emergency services up to pre-defined limits in the event your boat becomes disabled on the water. Fishing Equipment Coverage - Specific coverage to help pay for damage to fishing equipment while on your insured boat or while being carried onto or off of your insured boat. Personal Effects Coverage - pays replacement cost for damages or losses of your personal property while onboard or while being carried onto or off of your insured boat. 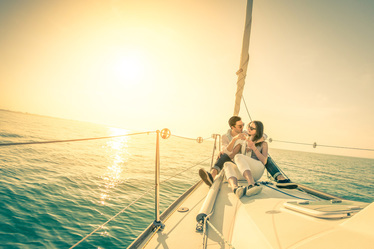 Contact us to learn more about the right boat insurance for you.